We are the only authorised stockist and fitter in Lincolnshire for AlloyGator, a revolutionary alloy wheel protection system that also complements your car’s appearance. A super tough yet flexible nylon band securely wraps around the edge of your rims protecting your wheels and tyres from kerb damage. AlloyGators are available in 9 colours, discreet silver and black, or you can enhance the look of your car with royal blue, bright red, orange, green, yellow, white or pink. 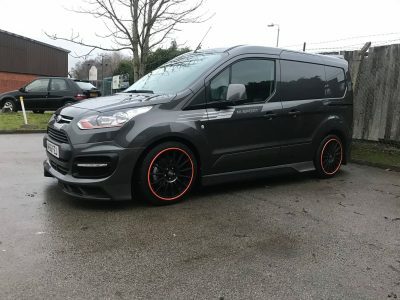 AlloyGators can be fitted to alloy or steel wheels from 13″ up to and including 21″ They are also compatible with low profile and Run Flat tyres. It takes about an hour to fit a set of four Gators and you can either leave the vehicle with us or wait in our freshly refurbished waiting room. If you are having your alloy wheels painted or powder coated it is an ideal time to have a set of Gators fitted to protect your investment and keep your wheels in top condition. They are a must for anyone with alloy wheels, especially with low profile tyres. They can be easily removed without marking the wheels so they are ideal if you have a lease or fleet car that needs to be returned spotless to avoid incurring costs. AlloyGators are also the perfect solution for fleet, courtesy or Driving Instructor’s cars. AlloyGators make the perfect gift, ask us about gift vouchers!